Appearance: Pours a hazy, golden orange. Two finger white head that lingers leaving very nice lacing. Smell: First and foremost a definite lemony, flower-like scent with maybe a biscuity wheat undertone. Initial Taste: Pretty nice buttery bread flavor, followed by a lemon floor cleaner taste. I think the hops are too perfume-like, which doesn’t go well with the lemon zest. Way overpowering to me. A bit too carbonated as well. Thoughts: I don’t understand their decision to include this in the Winter Brewmasters pack, as this really is a Summertime beer. I think they just took some Summer Ale and instead of adding the Grains of Paradise, they put more lemon in it. The peppery bite might have saved this one. Alas, it didn’t. Being a huge fan of Sam Adams, I was waiting to try this beer all year. I have to say it was a bit of a let down. Not to say I don’t appreciate wheat style ales, I do. Belgian style wheat ale is among my favorites. I think the biggest problem I had was the actual flavor of the lemon. It just didn’t seem like real lemon flavoring but rather the appearance of lemon…if that makes any sense lol. 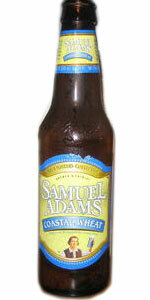 I tried this variety in the Sam Adams “Winter Pack” last night and was not impressed. Technicalities aside, this beer just didn’t taste that great. I thought it tasted “cheap” and didn’t’ have the high quality flavor or complexity I’ve come to expect from Sam Adams. In a blindfold test, I would have thought this was a attempt by a large American brewing company. I just tried this one, and it was delicious. Y’all are crazy. I am having one bottle of this right now and I agree with Joe and Luis on this one, it is very refreshing with a very nice lemon finish, I agree with the other entries above in the fact that the flavor may not be as rich as some of the other Sam Adams beers but that is what makes this one special, it is a smooth drinking beer that should have definitely been part of the summer selection. Refreshing and I will recommend it to people I like. It’s been a while since I’ve tried this beer so I will certainly readdress it during the coming summer months. Something tells me in this ridiculous Florida heat I’m in that my opinion of this beer may change for the better. Had this today for the first time. A bit lighter than I expected, but tasted good in the summer heat. Seems to be ‘selling out’ here n Florida, as I have had trouble finding it in stock. The critics of this beer are crazy,,This beer is everything I expected from a crafter like Sam Adams..Its flavorful anjd fun..If you want something robust go back to the Ale offering..